Over the month of April, I took a few trips to Smith Rock and Leavenworth, WA for various climbing exploits, as well as to escape to the woods be out of my awkward living situation. These are also the rolls where I began to user ColorPerfect to set the film base. I will try to have a post dedicated to this awesome software. I haven't been to Smith Rock in quite some time and revisiting this area was an eye-opening experience. I only got on two routes this weekend, but still had an amazing time with some fun people. Leavenworth is like a 2nd home. Spring climbing there is a blast. From the pictures on this roll, I was apparently more focused on photographing people. But rather than bore you with my banter, here are pictures! A climber displaying some great finger crack skills at Smith Rock. The resident majestic deer living at Steelhead Falls Campground. I gave it a kiss. So cute. Lamont, working out the balancy moves on Cruise Control, V6. 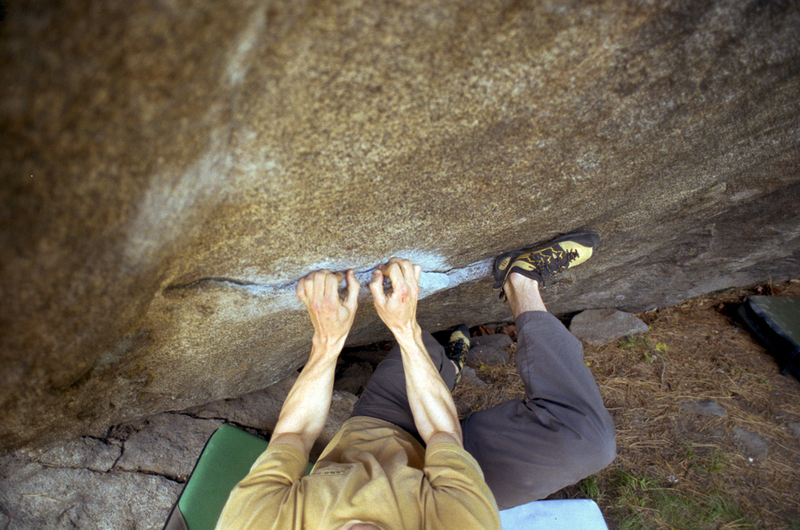 Sean on the opening moves of Trickle in Silence, V10 in Leavenworth. Chris on the starting moves of Busted, V8, in Leavenworth, WA. Crimp and throw.